Washington, D.C.‘s rundown Robert F. Kennedy Memorial Stadium–Armory Campus, home to soccer team D.C. United, is finally edging closer to redevelopment. The New York office of Rem Koolhaas’ Rotterdam-based firm OMA has been commissioned to master plan the 190-acre site. The stadium, located in the Southeast quadrant of the District, boasts a significant soccer pedigree, having hosted five World Cup matches in 1994. Constructed in 1961, the RFK Memorial Stadium was famed for being one of the first multi-sport sports venues, pitched as both a baseball and soccer arena. After almost 60 years of service, the stadium is now long overdue for a facelift. The project is being overseen by Events DC and the Sports Authority for the District of Columbia. OMA will also work with management firm Brailsford & Dunlavey to develop long- and short-term concepts for the future usage of the site. The project will be managed by OMA’s New York office, with the intention of creating a “holistic conceptual plan” that “resonates with the surrounding community” forming axis points and public meeting points, acting as a social hub for residents. 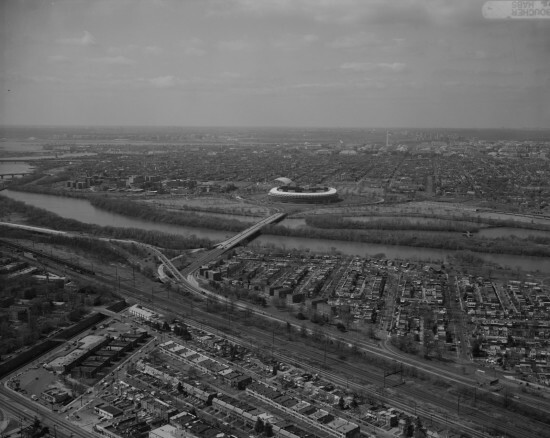 Jason Long, partner at OMA, said in a statement that the plan will seek to to play an “important role in reconnecting the city to the Anacostia waterfront.” No renderings have been released to date. OMA will seek to integrate the stadium into the 190-acre site, a vast expanse currently covered by surface-level parking lots, underutilized green spaces, and wide roadways. The windswept campus today appears eerily abandoned. “The goal of the project is to develop conceptual master plans for the entire Campus that complement the site, benefit the community, and create access points and public areas of convergence for residents and visitors” Laura Baird, associate at OMA, said in a statement. Plans and concepts for the project will be released in January 2016. The campus master plan is OMA’s second commission in Washington, D.C. 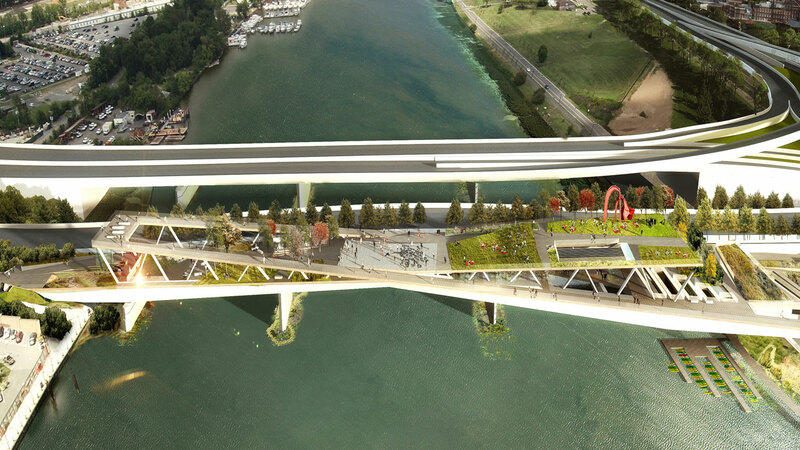 The firm also won a design competition, with landscape architecture firm OLIN, to build the 11th Street Bridge Park that spans the Anacostia River.The so-called “Anacostia Crossings” proposal configures the bridge into an X-shaped , multi-story linear park. According to AN’s October 2014 report on the bridge, nearly $16 million had already been raised for the project, with a goal of $40 million more. Anacostia River New York City OMA Washington, D.C.